Do Truck Drivers Rely on Amphetamines to Combat Fatigue | DeLoach, Hofstra & Cavonis, P.A. Drowsy driving is one of the most common causes of truck accidents nationwide. In an effort to prevent mistakes caused by long hours behind the wheel, the federal government created "hours of service" regulations that include mandatory rest breaks during and between driving shifts. Unfortunately, many truckers are encouraged to subvert these laws by using stimulants to stay awake, a workaround that increases injury risks for everyone on the road. According to a recent study published in Occupational and Environmental Medicine, truck drivers said they could easily obtain illegal stimulant drugs from gas stations and truck stops. 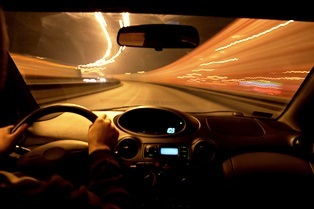 They also reported they were much more likely to use amphetamines during nighttime driving. Illegal uppers such as amphetamines and cocaine cause erratic driving and paranoia. If these are combined with prescription medications, they can affect every aspect of driving—and may cause the operator to have a heart attack or stroke behind the wheel. While it's the trucker’s choice to use legal and illegal drugs during driving hours, employers may be held liable after a wreck caused by a trucker’s drug use. In many cases, trucking companies encourage illegal behavior on the part of their drivers if it helps the bottom line. Trucking company representatives might not state outright that drivers should use stimulants or skip their rest breaks, but their actions make it all but impossible for drivers to do otherwise. Creating impossible deadlines. Trucking companies sign contracts with manufacturers and retailers to get their goods delivered within a certain timeframe. If the carrier falls short—or if another company can do it faster—the carrier loses the contract and potentially millions of dollars. As a result, some companies create unrealistic shifts for drivers, requiring them to drive constantly in order to make the deadline. There may simply not be time to take required rest breaks, but taking stimulants allows him to stay on the road and bring the delivery in on time. Awarding bonuses. Many drivers are paid by piece-rate and depend on the money they get from each delivery, making it necessary to maximize their working hours. Even workers who are paid hourly can still be offered bonuses if they shave a few hours off of their delivery time, allowing the company to send the vehicle back out for another trip at the expense of the driver’s health and safety. Threatening jobs. A trucking company’s profits depend on the speed of its drivers. Older drivers are often fired to make room for younger truckers who can be paid less to work longer hours. This competition and lack of job security encourages risk-taking measures such as drug use, especially for drivers who are working illegally. Physical symptoms. You may have noticed unexplained symptoms of drug use in the driver after the crash, such as trembling, sniffling, sweating profusely, jerking limbs, or yelling. Driver logs. Truckers are required to note their rest breaks and mileage in their driving logs. If the trucker hadn't taken a break in several hours, he may have relied on stimulants to stay awake. Police reports. The police report may have a note of the trucker’s behavior after the crash, including difficulty concentrating, erratic movements, or memory lapses. The police may also have ordered blood or urine tests to see if there were any illegal substances in the trucker’s system. Crash investigation. Your attorney can help collect evidence from the scene and from witnesses to determine if drugs may have been a factor in the crash, such as a failure to apply the brakes or swerving dangerously between lanes. Our firm has helped many accident victims get the justice and compensation they deserved after a serious injury. Since we work on a contingency-fee basis, we don't collect any fees until your case is won. Simply fill out the quick contact form on this page to set up your consultation with a truck crash attorney.